I recently came across these older “Smart Media” data cards while cleaning. They’re bigger (and a bit more interesting to photograph) than the current SD cards my current cameras and other devices use, but they are essentially useless. I do have a reader that can read/write them, but no particular reason to do so. Anyone have any ideas? I believe they are from 2010 and 2007. It’s not Luna’s birthday, but the cards are out because of the recent cleaning (similar to the memory cards). Weekend Cat Blogging #316 is hosted by pam at Pam’s Sidewalk Shoes. Photo Hunt #271 is hosted by tnchick. The theme this week is cards. The Carnival of the Cats will be up tomorrow at When Cats Attack! I remembered this scene from Chris Marker’s film Sans Soleil of the temple in the suburbs of Tokyo that was dedicated to cats, and when I knew that I was in fact going to be in Tokyo for a couple of days, I decided I would find this temple. 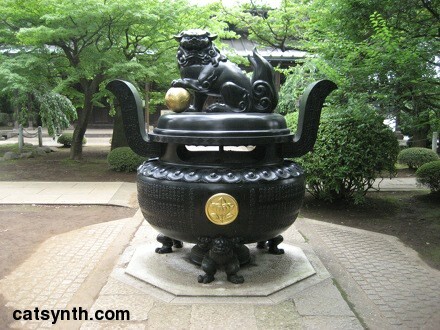 It is in fact the Gotoku-ji Temple in the Setagaya ward in the western suburbs of Tokyo. It really was tucked away in a relatively quiet residential neighborhood, easily missed if one did not know where to find the gate. The temple grounds were very quiet, with very few visitors other than myself. 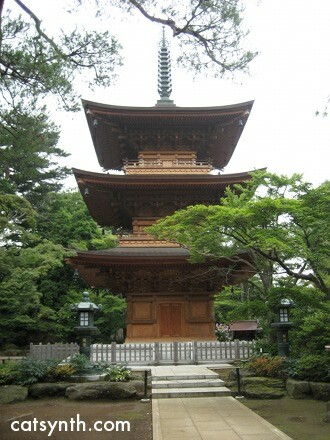 There is a small building near the large tower in the photo above. I believe it is a side temple of sorts. 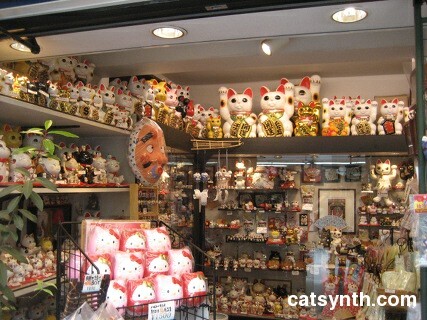 Behind it is a set of shelves containing hundreds of maneki nekos, or beckoning cats, left as offerings. 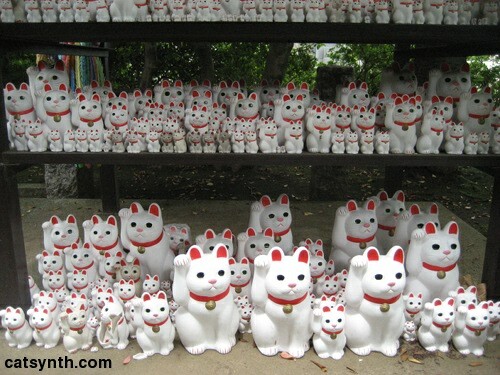 Indeed, Gotoku-ji claims to be the birthplace of the popular cat figurines. This was definitely the temple from Sans Soleil, I had succeeded in finding it. And having come this far, I spent a little time to linger in this small, quiet place. 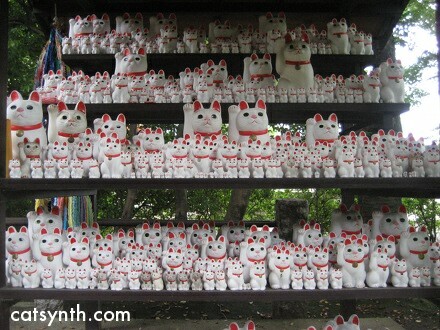 Gotoku-ji is not the only site that claims to be the birthplace of the maneki neko. 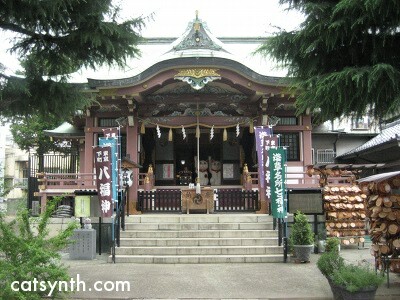 In Akasuka, not far from the famed Senso-ji temple, is the Imado Shrine. 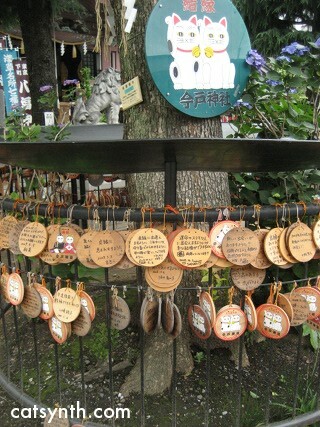 The wooden plaques tied below the image of the cats contain wishes left by visitors. This is a common practice at temples and shrines, but it was specifically here that I chose to leave such a wish myself. 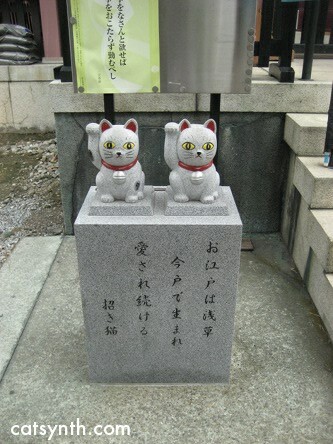 Another common practice is selecting a fortune from a box near the shrine – at the Imado temple, each fortune comes with a tiny cat figure. 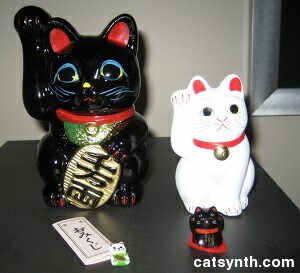 I did get one of these, and of course a few ceramic cats from both Imado and Gotoku-ji. One cannot help but think a little bit about spiritual things after visiting spiritual places, and a coincidence that occurred soon after leaving Imado contributed. Heading back south towards the Senso-ji temple, I saw a small narrow park, really a stone path lined with trees, and decided to walk in that direction. 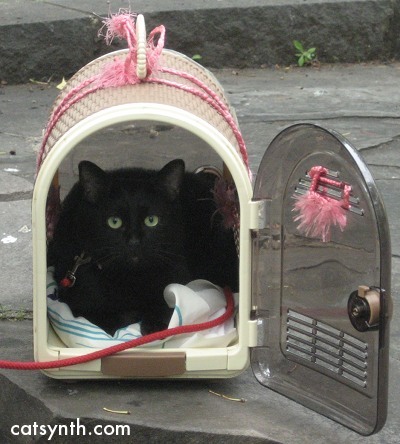 About halfway, a saw a woman with an open cat carrier, and inside was a black cat with green eyes! Included are one of the simple ceramics from Gotoku-ji, the tiny cat that came with the fortune at Imado, and a couple of black cats that I found. Beyond the black cat in the park, I did not see very many live cats during my short visit. Apparently, this is an issue from Japanese ailurophiles as well. There are now several cat cafes around Tokyo, where for a fee one can spend an hour or so interacting with the cafe’s very friendly (and very clean) cats. 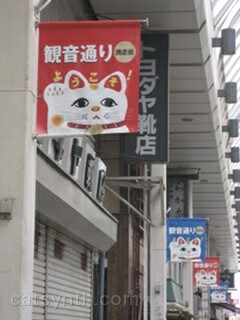 I did see a cat cafe in Akiabara (an area which will be the focus of one of our next articles), but I did not have time to check it out. However, Akiabara, the center of electronics and anime in Tokyo, will itself be the topic of an upcoming article here at CatSynth.